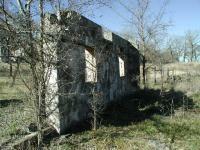 Along the shores of Lake Georgetown lie the remains of what was a farming operation near the then San Gabriel River that produced the first strawberries to be grown in Williamson County. 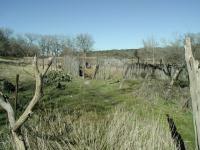 From 1879 several succeeding land owners would use the land for growing vegetables for sale in Austin. Now, it sits on the edge of a man-made lake, occasionally gets flooded and visited by a few hikers along the Good Water Trail. Joseph Fish owned the land on which these ruins lay as far back as 1850. In 1855 new owners Benjamin Gooch and John Owen operated a flour mill in the area. James Knight began the gardening operation that would contribute half of site's current name. Subsequent owner R.M. Crockett provided the rest. 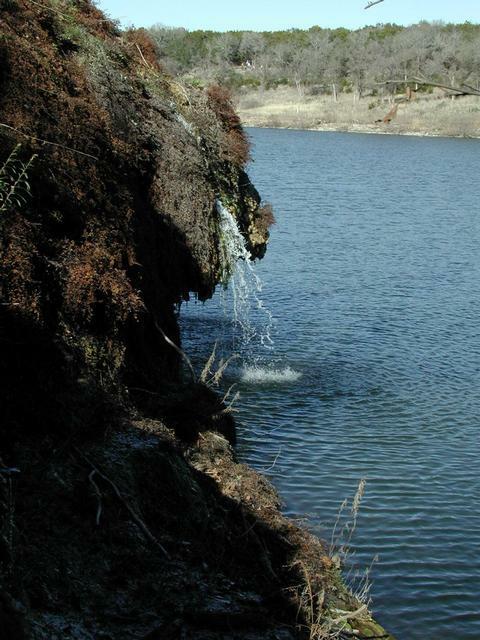 Crockett Garden's spring-fed waterfall didn't always fall into a lake. What made this spot attractive for gardening is the natural spring that surfaces here. Currently it falls directly into the shore of Lake Georgetown. In the 1800's the waterfall fed a small stream that emptied into the San Gabriel River. The USGS topo map of the area is helpful here in seeing what the terrain was like then since it predates the construction of the dam that created Lake Georgetown. Note the flat plain beneath the bluff and even the indication of a building to the north that has been submerged. 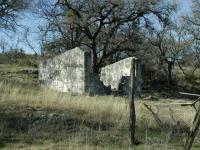 What remains today are a spring house, corrals and a few assorted buildings. Most of the structures lie on private land, behind a barbed wire fence, but lie close enough to the boundary with the Corps of Engineer's land to provide a good look at what remains. The only way to visit the site today is to hike to it via the Good Water Trail along Lake Georgetown's shore. The closest trailhead lies in Cedar Breaks Park to the east. The site is about a 2.5 mile hike from the trailhead, so expect a 5 mile round trip. It was a nice walk, taking us about 2.5 hours to make the 5 mile loops. The falls weren't fantastic or anything, but it was a nice hike. Standard limestone country through cedar trees, which is maybe not the best place to be in January when you are alergic to them.